I managed to finish up the back of the Blouson sweater over the weekend. It looks pretty big, but there will be pleats there on the bottom. The crossed stockinette stitch has added a nice texture to the fabric and doeesn't seem to be creating any strange sort of bias. 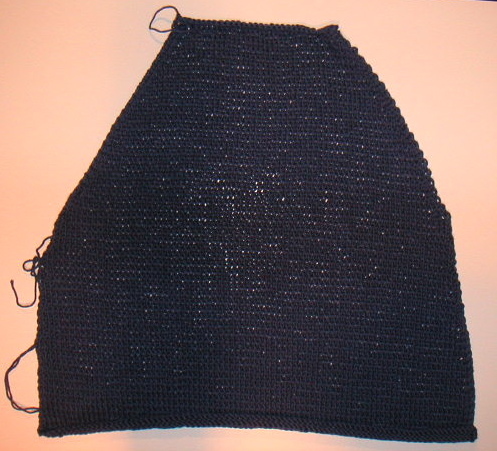 I'm starting the raglan armhole decreases on the front now.